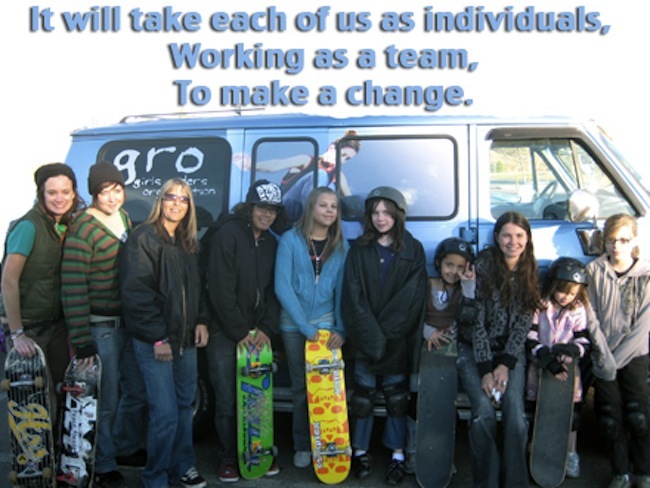 GRO is a 100% volunteer based organization. No GRO ing would happen without the great volunteers across the country. Even if you don’t ride or are not a girl, you can still make a big difference. General Event Volunteer – Anyone can volunteer at GRO events regardless of age, gender or experience by providing general event assistance. Responsibilities vary from one event to another but can include tasks like working the GRO booth or table, collecting information and forms, running raffles or other fundraiser activities, answering questions about the event and more. Photographers And Filmers – The media from an event is almost as valuable as the event itself. Every GRO event can benefit from photographers or filmers volunteering to help capture the action. Capturing raw material, producing a finished product or getting the media published all are welcome options. Please be able to provide the media to GRO in a timely manner. Athletes – Professional and amateur female athletes are welcome to assist at any events. Athletes can perform demos, hold autograph signings, help guide upcoming riders and be a great inspiration. Instructors – Experienced female action sports instructors can volunteer at any GRO Workshop or GRO Session to assist riders in the safe progression of their ability. Street Team Promoters – Help spread the word. Promoters can volunteer for any event in their area by hanging event flyers, distributing event postcards and sharing event information online. Musicians – Individual musical performers and bands can volunteer to perform at GRO Fundraiser events where live music is allowed. Musicians may also provide rights for GRO to use songs for event recap and promotional videos. Artists – Artists can providing art for sale or display at various GRO fundraiser events. Artists can also donate graphics for GRO to use for shirts, stickers, boards and other promotional material. Other – If you have another talent, skill, or idea for volunteering, just let us know!